Monday, August 21st, marks the 10th anniversary of BioShock, the award-winning FPS from 2K Games. While I could write about the popularity of the game or my favorite memories, I think there’s something more important to discuss. BioShock’s political messages and their reflection of our current society. 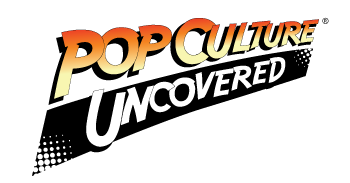 We’ve all read multiple articles and blogs about the core themes of Ayn Rand and Objectivism. Bioshock explored a society where people were given absolute freedom from government controls. Science could progress without ethical consideration. Businesses could thrive without restraints on their practices. People could focus on their personal enjoyment first, without worrying about helping anyone else. These ideas have influenced Libertarianism, one of the rising ideologies in American politics. Many people in the United States support the removal of government from citizen’s lives. No taxes, no regulations, no restrictions on what one does on their private property, etc. Now, not everyone who espouses these Objectivist ideals is part of the Libertarian Party, and not every Libertarian is an Objectivist. There are differences between strict Objectivists and many “Right-Wing” Americans. The choice to focus on personal freedoms over the needs of others, however, falls toward the right of the political spectrum. Many a Republican or Libertarian espouses this individualism at some point in their life. Given our current social and political divides, the question, “What would happen in such a society?” is all too common. I should be clear that the fall of Rapture in the game wasn’t directly caused by Objectivism, individualism, or Libertarianism. Instead, the story served as a warning against absolute, extreme, and puritanical ideologies, and the hypocrisy of those behind it all. Andrew Ryan, the leader of Rapture, violated his own philosophy in his pursuit of Objectivism – he limited the freedoms of citizens to keep his society “pure.” In compromising his beliefs, others took umbrage (and advantage), and the city devolved into a civil war. Like the philosophies of Rapture, there is no gray area. It’s extreme individualism for many who believe that any government is evil. When faced with anyone who dares to compromise, let alone sits on the opposite end of the spectrum? The response is often aggressive and irrational. And yes, I realize “both sides” are guilty, with people attacking others for perceived offense or ignorance. I would remind, however, that extreme individualism and Objectivism? The “me first” mentality, which is in direct contradiction to the words of some Founding Figures? Extremists, who argue for racial or religious supremacy? That is solidly on one end of the spectrum with few exceptions. We are living in Rapture right now, a world where “personal freedom” is taken to extremes and ideological purity leads to “us versus them” mentalities and conflict. 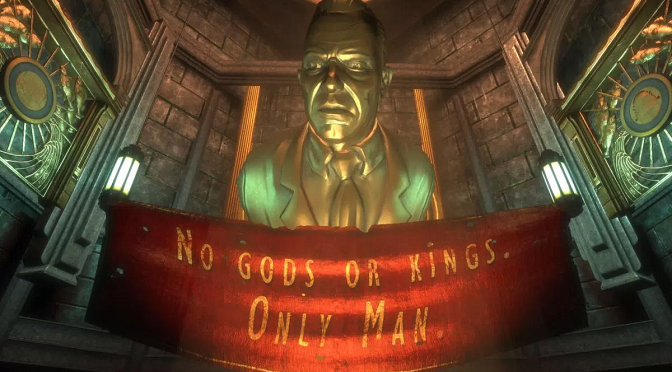 BioShock may have explored the flawed philosophies of Ayn Rand, but it warned against the flaws of humanity. Here we are, a decade later, and people still haven’t learned a thing. If anything, the divide and extremism have only become worse – from political rallies, to the media, to the Internet. What will happen in such a society? Hopefully nothing like the events of BioShock.